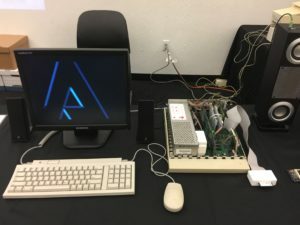 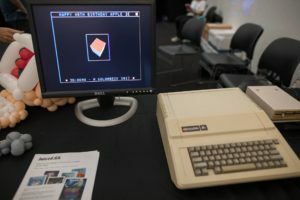 The promise was “Apple II Forever”, and there still exists a vibrant community of software and hardware development for the Apple ][ line of computers. 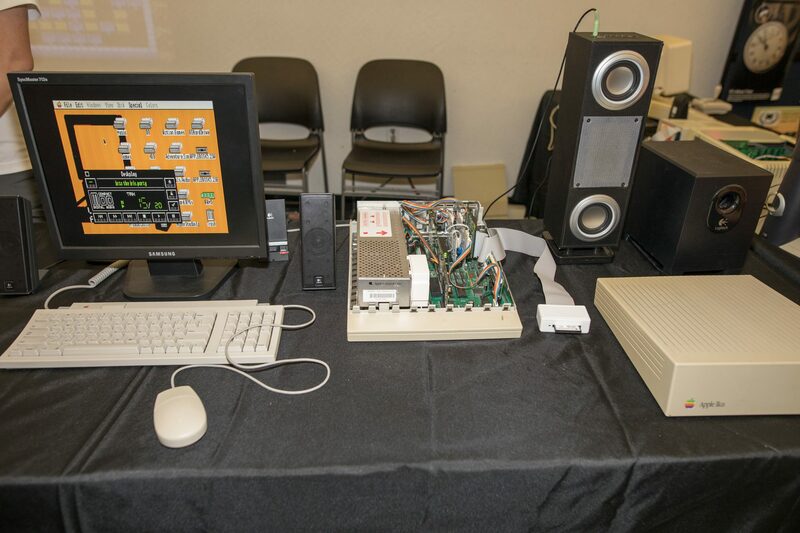 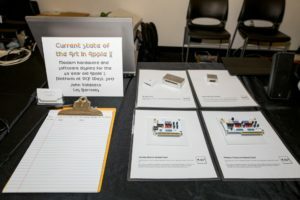 Our exhibit focused on current projects which bring new life to a hardware line that launched in the 1970s. 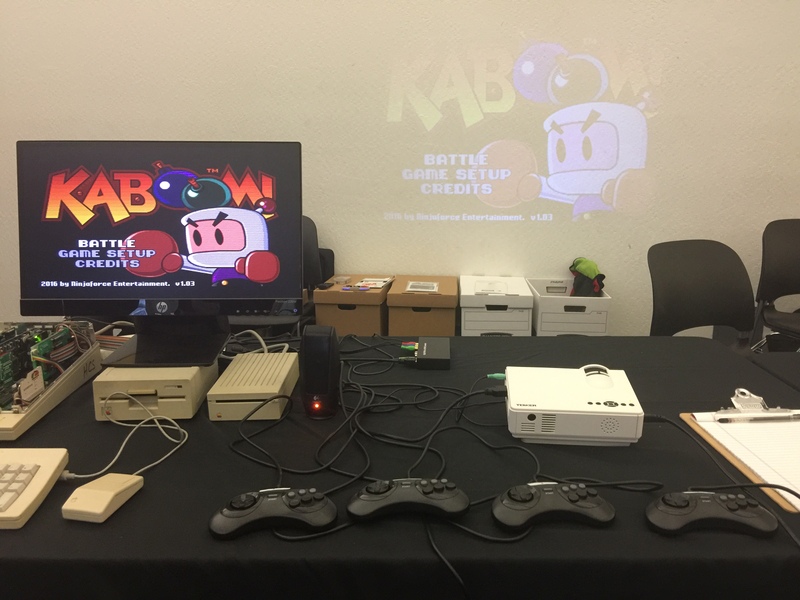 Software includes new releases of ProDOS and GS/OS, as well as new products such as Ninjaforce’s Kaboom! 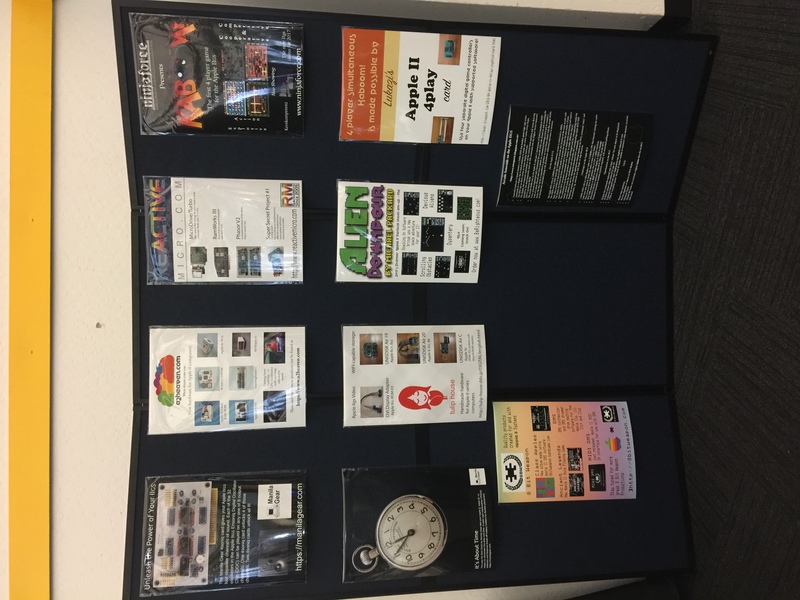 and Michael Packard’s current project, Alien Downpour. Also on exhibit were new hardware such as Tulip House’s IIGS DVI adapter, new //e and IIGS memory cards from A2Heaven and GG Labs, the 4play modern joystick adapter from Lukazi, a new 4-channel sound card from Manila Gear, the CFFA 3000 CF/USB storage device, and the new prototype TransWarp GS board from UltimateMicro. 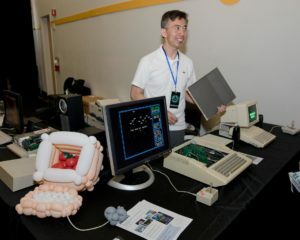 Manila Gear’s John Valdezco was there to talk about their current Apple ][ hardware projects. 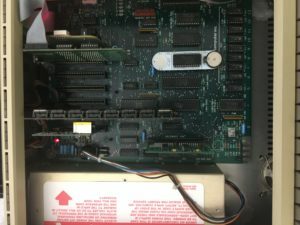 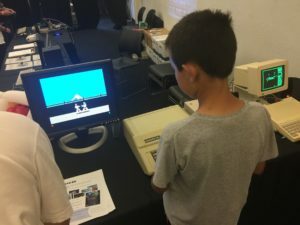 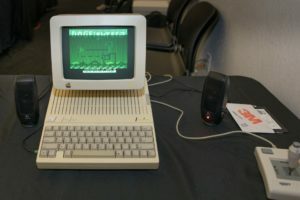 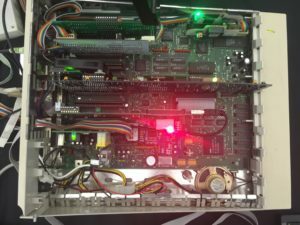 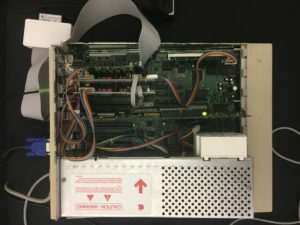 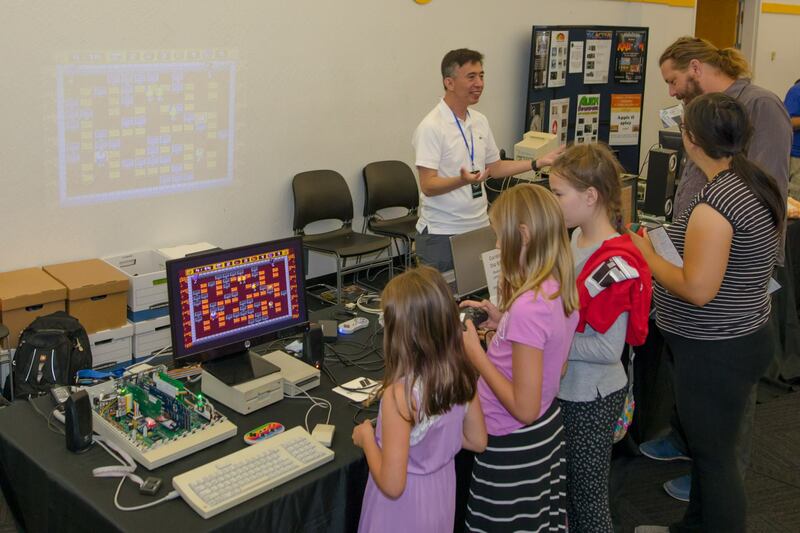 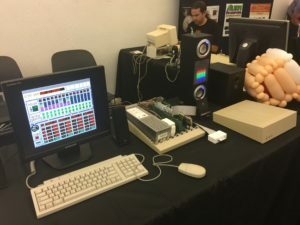 Two Apple IIGS systems, one Apple //e, and one Apple //c ran live demonstrations, including Ninjaforce’s 4 player Kaboom! game. 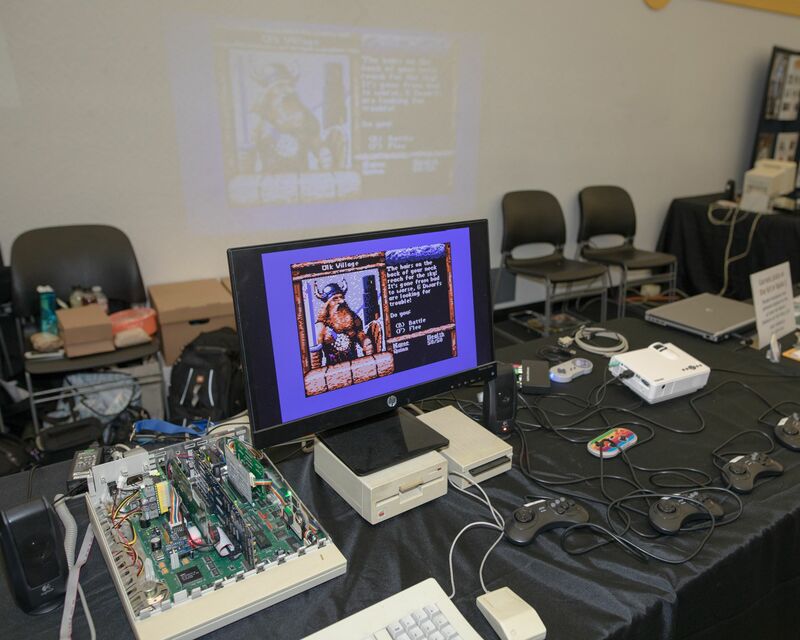 Shown on the screen above is 8 Bit Weapon’s new fantasy Role Playing game Ancient Legends. Shown on the screen above is Ninjaforce’s Deskplay, a new Desk Accessory for playing MOD tracker files on GS OS. Shown on the screen above is Marc Golombeck’s new 3D Engine for the Apple //. 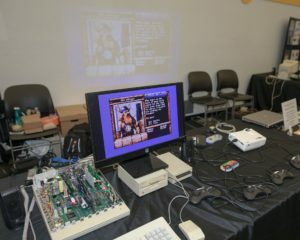 Shown on the screen above is Tom Porter’s new game Dogfighters of Mars 2. 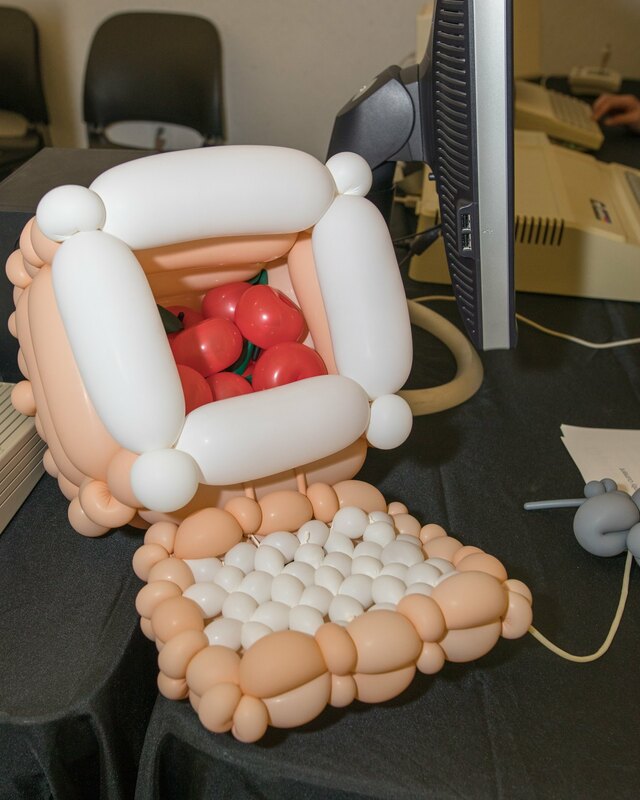 And the newest Apple computer in our collection, complete with mouse. Made the night before by Eiko’s Balloons. Having incredible four player fun with Ninjaforce’s Kaboom! 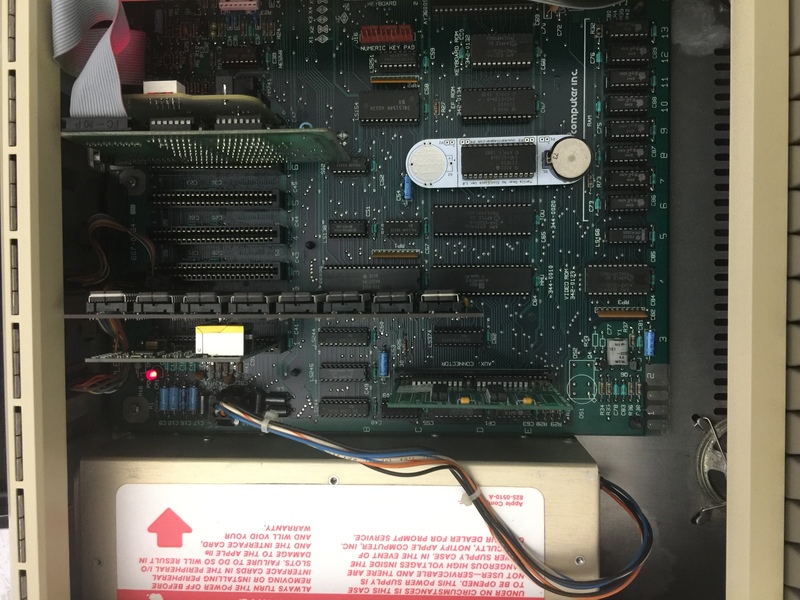 on the 4play game controller card with a 4soniq 4-channel sound card. 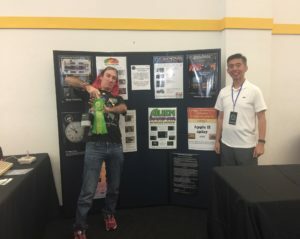 We rocked the entire VCF show floor using Soundsmith 2.0, the new 8 speaker channel music software from Brutal Deluxe, and Manila Gear’s 8soniq 8-channel sound card. 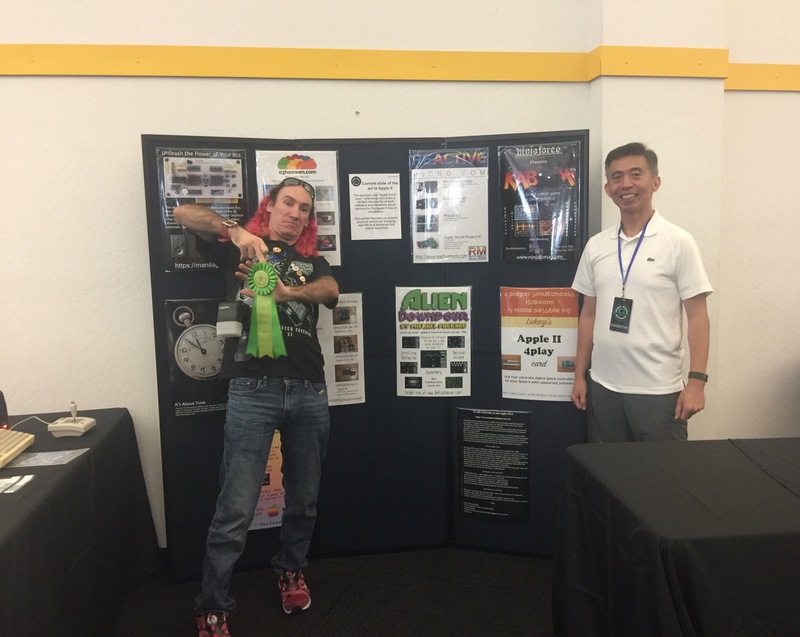 A sample of our playlist included: Alphaville, Big In Japan, Can’t Get Enough, Footloose and Funkytown. 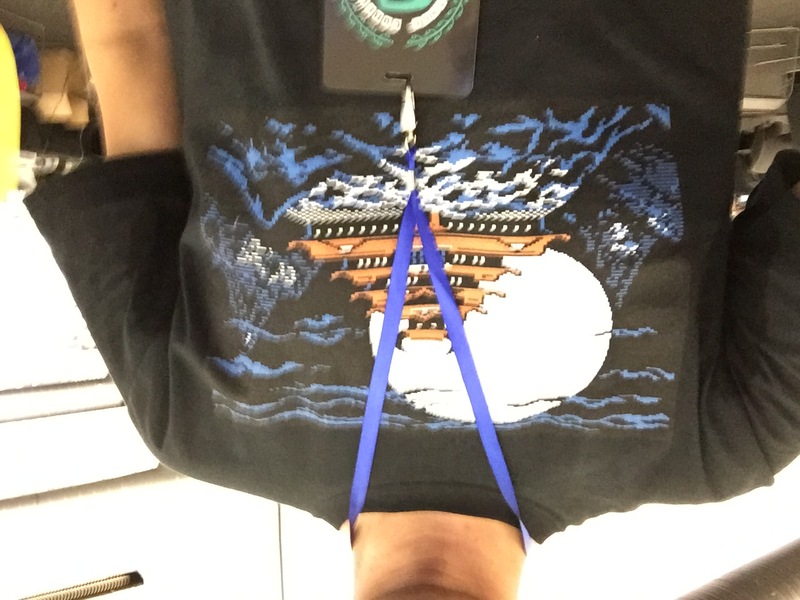 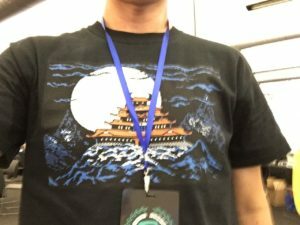 Karateka software (c/o Jordan Mechner) and Karateka soft-wear (c/o 8bittees.com)! Michael Packard’s new arcade game Alien Downpour playing on the Apple //e. We look forward to all the cool new hardware and software projects still yet to come. 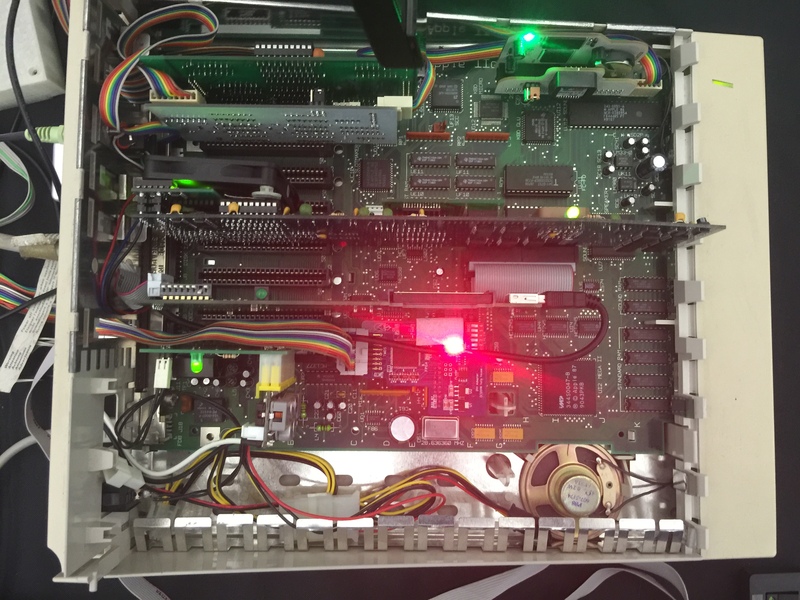 Watch out for accelerators, HDMI video adapters, flash storage systems, system coolers, and new games and utilities. 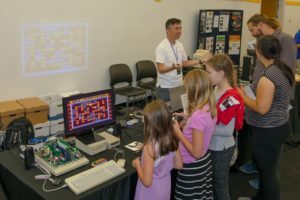 Les and I would like to send our heartfelt thanks to everyone who attended, to those who helped us put this exhibit together, and last but not the least, to those who created (and continue to create) the software and hardware that we enjoy and were able to share with the rest of the vintage computing community. 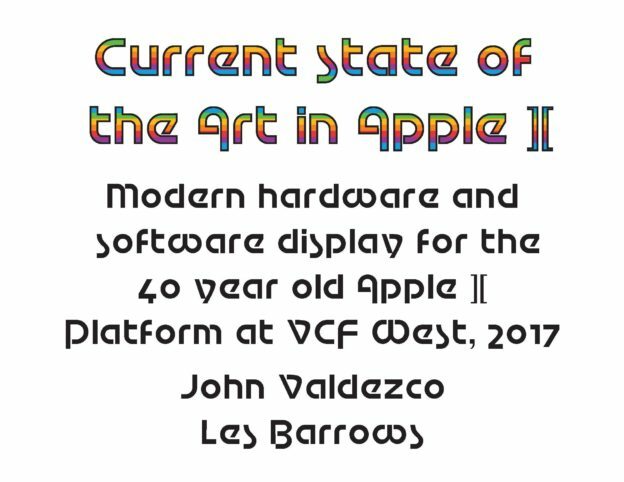 This entry was posted in General on August 5, 2017 by John Valdezco.